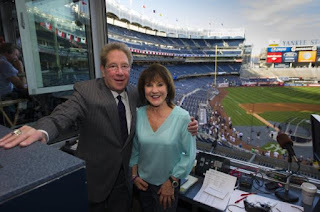 Ever since Ichiro Suzuki was traded to the New York Yankees, people have speculated on what home run call radio broadcaster John Sterling would create for him. In fact, the potential home run call for Ichiro Suzuki was one of the most anticipated calls ever. 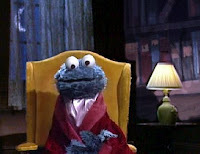 I figured Sterling was sitting at home in a smoking jacket and ascot late at night, looking like Cookie Monster did as Alistair Cookie of Monsterpiece Theater, trying to come up with a great, memorable idea for Ichiro' first home run call, attempting to rhyme something with Ichiro or thinking of a cheesy show tune to tie in to the call. “Ichiro, the Yankees’ rising sun, says sayonara." Are you kidding me? That is terrible! Whether it is rising sun, or rising son, it doesn't make any sense. No offense, but Ichiro has one foot in the grave, baseball-wise. He is not a rising anything. And the sayonara is a little weird, too. Is he going to be saying goodbye every time he hits a home run? Longtime Subway Squawkers reader Uncle Mike had suggested "I'm kooky for Suzuki!" That would have been better than what Sterling came up with. I'm sure Squawker readers have other ideas for Ichiro's home run call. Tell us! Yankees/Red Sox weekend roundup: What was up with Bobby Valentine throwing his gum? I was with Squawker Jon on Saturday night, and I was fuming as much as Mark Teixeira was at the Yankees losing to the Red Sox -- Teixeira looked like his head was going to explode after hitting the home run off nemesis Vicente Padilla, yet the Yanks still ended up losing the game. But I was positively befuddled over the Yanks losing again last night, and to add insult to injury, I was flummoxed by Bobby Valentine throwing the gum he was chewing in what looked like the direction of the crowd after he was ejected from the game! Can you imagine sitting at the Yankee game, minding your own business, only to be hit by a wad of gum covered by the drool of the Red Sox manager? Talk about Bubble Yuck! I have a weak stomach, and it was making me sick to see that on TV, let alone be near it in person. Where was the media followup on what happened to the gum? Do we have a Double Bubble Trouble scandal brewing? Enquiring minds want to know! Frankly, Valentine looked like a lobotomized version of himself for most of the season. Now Bobby V is back to the trash talk -- he told the media last night that the Yankees might not make the playoffs, and that the Sox might win the division! Whatta clown. That's why the Yanks needed to win this series -- to wipe that smirk off his face! I saw that Josh Beckett got ejected from last night's game, too. Guess he could get started on his late dinner of fried chicken and beer. 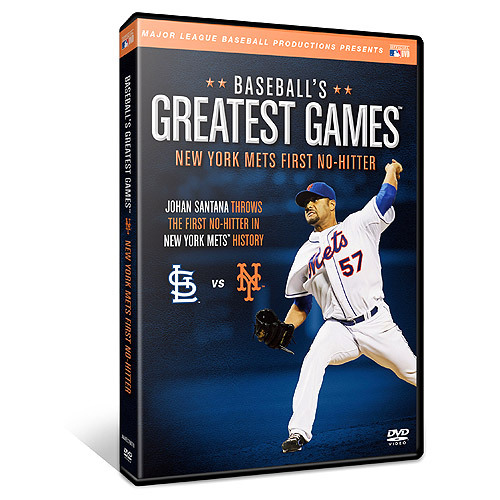 Win a DVD of Johan Santana pitching Mets' first no-hitter! Want your own DVD of Johan Santana's incredible no-hitter? A+E Home Entertainment/MLB Productions is giving away five copies of "BASEBALL’S GREATEST GAMES: NEW YORK METS FIRST NO-HITTER" to Subway Squawkers readers. 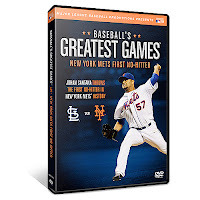 The DVD includes the television broadcast of Santana's June 1 no-hitter over the St. Louis Cardinals as well as a special audio feature allowing fans to watch the television broadcast and listen to the Mets radio network announcers in English or Spanish. The DVD is available online at http://shop.mlb.com/product/index.jsp?productId=12609906&cp=1452371.2366583 and in the Mets Team Store. If you'd like to win a copy of BASEBALL’S GREATEST GAMES: NEW YORK METS FIRST NO-HITTER, email us at subwaysquawkers@gmail.com and tell us at what point during the game you first started to think that Santana might actually pitch the Mets' first no-hitter. Please include your name and mailing address in the email and put "NO-HAN" in the subject line. Five entries will be chosen at random. You have until Monday, August 6 at 5 p.m. to enter the contest. Good luck (and let's hope the Mets win another game by then!). Shocker: Ichiro is now a Yankee! I will give Brian Cashman credit for something -- he does stealth, surprising trades better than anybody out there. And trading for Ichiro Suzuki was a shocking, "What???" kind of a moment. It was definitely a jaw dropper for me. When I told one of my brothers about the trade, he pointed out that only the Yanks could get a player making $17 million a year who doesn't hit for power, or average, or steal many bases any more. Of course, as Squawker Jon fulminated over, the Mariners are actually kicking in money to pay for some of his salary! But I digress. I think this is a low-risk, high-reward trade for the Yanks. Even if Ichiro isn't the Ichiro of old, they got him for basically nothing. At any rate, he should be fun to watch. Besides, in a day when the Yanks get Ichiro, the Mets get Snooki. Sounds like my team got the better end of the deals! Has the Mets' season really come down to trying to hold on until Frank Francisco gets back? Interim closer Bobby Parnell had his second straight blown save Tuesday night. While Francisco will never be confused with Mariano Rivera, he did have just three blown saves in 21 chances before getting hurt. As if blowing a save in the ninth wasn't bad enough, the Mets' bullpen lived up to its status as having the worst ERA in the National League by blowing a save in the tenth as well. After the Mets took the lead in the top of the tenth, Tim Byrdak allowed a game-tying triple to the Nationals' Bryce Harper. The game was still tied with two outs and the bases loaded when Pedro Beato decided there was room for one more bullpen goat when he threw a wild pitch, allowing the winning run to score. The Mets have been competitive this season in large part due to the performances of R.A. Dickey and Johan Santana. Not only was Dickey putting up the best numbers in the National League and Santana was having a hot streak of his own, including the no-hitter, but they were going deep into games. Dickey and Santana have five complete games and three eight-inning starts between them. The Mets won all eight of those games. Nothing like avoiding that bullpen as much as possible. Now the Mets are seven games out of first and six games ahead of the Phillies, closer to the cellar than to first place. The Phillies got Roy Halladay back last night and figure to be a lot stronger in the second half as long as they don't trade Cole Hamels. There's still plenty to root for this season - finishing above .500, staying ahead of the Phillies sticking around the wild-card hunt. But the Mets can't contend with this bullpen, and it will take more than a trade-deadline patch to fix it. I enjoyed the Mets' first half, but let's keep it in perspective. The 2010 team had a better record at the All-Star break. The 2010 Mets were 48-40 and the 2012 Mets are 46-40. The 2010 Mets were in second place, four games behind the Braves. The 2012 Mets are in third place, 4 1/2 games behind the Nationals and half a game behind the Braves. The 2010 Mets were one of six teams within two games of each other for the wild card lead, while the 2012 Mets are one of five teams within a half-game of each other for the wild card lead. The main thing the 2012 Mets have over the 2010 team is that there are now two wild cards. The current Met team has more overachievers than underachievers. R.A. Dickey went 12-1 with a 2.40 ERA in the first half. Johan Santana has been healthy and productive. Even Chris Young has made it through six starts, after only making it through four in each of the last two seasons. David Wright is hitting .351 with a 1.004 OPS. Scott Hairston has 12 homers in 185 at bats. Is it reasonable to assume that all five players will continue to produce at this level? Ike Davis leads the underachievers, and more was expected of Jon Niese as well. Ruben Tejada missed several weeks. Andres Torres is hitting .201.The bullpen has been mostly a nightmare. Davis has started turning it around and Tejada has been great since returning, so there's hope for more from this group. Kirk Nieuwenhuis was overachieving for awhile, but now he's underachieving. Daniel Murphy has also been up and down, but is now about where you'd expect at .295. I no longer qualify Jason Bay as an underachiever. I hope he is healthy for his sake, but don't see him helping the Mets. This team looked likely to regress even before Dillon Gee got hurt. But now there's no way around it. The Mets only won 7 of Gee's 17 starts, so the regression might not be so bad, but it's hard to imagine them improving in the fifth rotation spot. By all accounts, Matt Harvey is not ready, so bringing him up soon could backfire for this season and for the future. The Mets already rushed Jennry Mejia up and we see how that worked out. There's certainly a better feeling around the Mets than there has been in awhile. So far at least, losing Jose Reyes has not been as bad as I feared. Reyes and the Marlins are struggling. Ruben Tejada is hitting .325 and fielding well. I'm not saying Tejada has fully replaced Reyes, but it could be worse, say Torres (.201 batting average, 26 runs, 9 steals, 20 RBI, 1 homer) for Angel Pagan (now hitting .284 with 38 runs, 15 steals, 33 RBI and 5 homers). And while it's great to have Zack Wheeler in the system for the future, the 2012 Mets outfield could certainly use 2012 All-Star Carlos Beltran. Ultimately, the Beltran for Wheeler trade underscores the fact that the Mets are being built for the future, not the immediate present. I hope the future is not too far off for the Mets. But it doesn't look as if it is in 2012. It cracks me up to no end that two of John Sterling's catchprases -- "The Melkman delivers" and "The Melky Way" -- have become so identified with Melky Cabrera. And the Melkman did indeed deliver Tuesday as the MVP of the All-Star Game. I never expected that he would become the superstar he has, but I was against him being traded for Javier Vazquez from Day One. That was one of the many dumb Brian Cashman moves. But what's up with Kevin Long feeling the need to justify the Yankees getting rid of Melky by talking about him drinking and being overweight and undisciplined as a Yankee? If Melky was so out of control, as Long is claiming, then where were the Yankees during this? At any rate, these comments are unnecessary and offensive. Let it go, Kevin. Anyhow, Melky getting the MVP was one of two highlights for me -- the other was seeing R.A. Dickey pitch at all. I was bummed not just that the game was essentially over in the first inning, but with Tony LaRussa holding Dickey until the sixth inning. So much for his "promise" that he would pitch Dickey in the first half of the game. It ticks me off that Dickey didn't start -- if Buster Posey is such a great catcher, then he should be able to figure out the knuckleball. LaRussa, as usual, has to be Mr. Controlling and go against what everybody else wants. Dickey's success is the top story in MLB this year, but instead of having him start the game, he doesn't get to pitch until the sixth inning, after 10 p.m., with an 8-0 score and most of America having already turned off the game. Way to go, LaRussa! Squawker Jon and I were at Sparks Steakhouse on Monday to celebrate his birthday, so we missed the Robinson Cano Home Run Derby kerfuffle. It just goes to show, though, that Middle America has an undeserved reputation for niceness. You boo a player like he was caught running a dogfighting ring because he didn't pick Billy Butler for the HR Derby team, even though at the time Cano had to hand in his picks, Butler was not an All-Star? Ridiculous. One other note regarding the Reggie Jackson brouhaha. Joe Torre weighed in on the subject, saying that "Reggie is still a Yankee," and that "they just asked him to step aside a while." Huh? Who is Torre to decide who is a Yankee or not? Not only did Torre disgrace the pinstripes between the way he left, and the nasty book he wrote, but he is supposed to be on MLB's payroll. He's not on the Yankee payroll anymore. It's not up for him to decide who is a Yankee or not. In fact, he's supposed to be objective in his current job. So much for that. Tony La Russa's wrongheaded All-Star decisions have unfairly penalized not just R.A. Dickey, but also David Wright, and they have rewarded Giants fans for stuffing the ballot box. Buster Posey did not deserve to start at catcher over Carlos Ruiz and Yadier Molina. But because Giants fans voted Posey in, La Russa names another Giant who shouldn't be starting, Matt Cain, as starting pitcher, citing Posey's familiarity with Cain, as if that was ever an All-Star battery consideration before. At least Posey is having a very good year. Giants fans also voted in Pablo Sandoval at third over Wright, even though Sandoval missed over a month with a broken hamate bone. La Russa had the opportunity to put Wright in the starting lineup as designated hitter, but passed over the Met third baseman for Colorado's Carlos Gonzalez. If Wright ends up playing much of the game at third, the move could make sense. But it would have been nice to see Wright introduced with the starters, as he should have been. And it would have been great not just for Met fans, but for all of baseball, if Dickey had gotten the start. Even Squawker Lisa is outraged by the snubbing of the Met pitcher. Bud Selig makes the game decide home field advantage in the World Series in a pathetic attempt to increase ratings, then praises the Giants fans for making a mockery of the All-Star Game being more than an exhibition. And when baseball actually has a reason for casual fans to tune in, they leave Dickey on the bench. Maybe La Russa is thinking about the 2004 All-Star Game, when his Cardinals did not end up with home field advantage in the World Series. The game was decided in the first inning, when the American League scored six runs. Some blamed bad feelings between the National League battery - Mike Piazza and Roger Clemens. In 2004, it might have made sense to pick a different starting pitcher to go with the catcher. But it was the best choice for fan interest. And even though I'm a National League fan, I enjoyed seeing Clemens get lit up. Cain is no Clemens (even if he also once beaned the Mets' best player). Cain deserves to be in the game, even if awarding him the start because of his body of work makes a lot less sense than it would be for AL starter Justin Verlander. But while I want the NL to win, I hope they do so without much help from any of the Giants in the game, or any moves by Tony La Russa, who should have stayed retired. I could be wrong, but it looked and sounded like an awful lot of Yankees fans at Fenway Park this weekend. It seemed like much more than in the past, to the point where you heard rival chants, the way you do at Mets games. Hmmmm, Is that because Red Sox fans are less likely to buy the tickets these days? "We are all men here playing baseball. We don't need no women playing baseball. He is always crying and complaining. If he has a base hit, he cries, if he doesn't, he cries. I just meant that not even women complain as much as him," said Padilla. And you thought Josh Beckett and John Lackey were jerks! What is it with the Red Sox -- they are even more unlikeable than usual. Other than the injured Carl Crawford, who I feel sorry for, there isn't a single Boston player I can even tolerate. David Ortiz is more important to Boston than Ted Williams? Really? Let's review. Williams, who died 10 years ago this month, hit .406 in a season, and also hit .388 at the age of 38. He had 521 career home runs, but would have had a lot more if he didn't have to go serve his country in World War II and Korea. But Cinco Dopo wants us to think that Ortiz is bigger than Williams? Spare me. By the way, why doesn't Ortiz testing positive for PEDs in 2003 ever get brought up whenever we talk about him? This summer marks the third anniversary since Sherlock Ortiz announced that he would figure out why he failed that test. Shockingly, he never has, and just as shockingly, which is to say not shocking at all, sportswriters completely lost interest in exposing juicers once Red Sox players (Manny Ramirez also failed that test) were named.Why is it that A-Rod always gets reminded about doing steroids, but Ortiz never is? Why hasn't any reporter ever even asked Sherlock Ortiz why he tested positive? Speaking of which, when Squawker Jon and I heard A-Rod's reaction to what Reggie Jackson said about him, which was to tell reporters, "With friends like that, who needs enemies" through a forced smile, we speculated about how much pull Rodriguez had with the team. For maybe the first time ever, Rodriguez didn't turn the other cheek; he made it clear he was unhappy over what Jax said about him. The fact that Jackson, who is on the Yankee payroll, is not going to be around the team in the immediate future says something about the Yanks wanting to keep A-Rod happy. Of course, the rest of what Jackson said, like insulting Gary Carter, didn't help, either. It was 35 years ago that Jackson thought that a Sport Magazine reporter was his friend, when he uttered the infamous "I'm the straw that stirs the drink" remark that got him in so much trouble. This is Life 101 -- reporters are not your friends! Jackson is 66 years old. Old enough to know this truism. Good grief. Although Reggie Jackson was my favorite player coming up, I've noticed that in recent years, he seems to have gotten an acute case of Good Old Days Disease, which has symptoms including lack of self-awareness, crankiness, discounting of anything that happened after you, and a big old case of "get off my lawn-ism." (Hint -- it hits a lot of us as we age. If you find yourself starting a sentence with, "In my day..." just stop yourself before you get a full-blown case of Good Old Days Disease! Anyhow, Reggie was quoted last month griping about players strutting (What!?? People in glass houses shouldn't throw stones!) He said, among other things, that "If some of these guys were as concerned with getting base hits and winning games as they were Twitter, maybe they could perform better and earn some style." Oh, please. C'mon, Jax, don't be a hypocrite. You strutted with the best of them back in your day! He believes that the Baseball Writers Association of America, whose members vote for the Hall, have adopted too low a standard. "I didn't see Kirby Puckett as a Hall of Famer," he says. "I didn't see Gary Carter as a Hall of Famer. I didn't see Don Sutton as a Hall of Famer. I didn't see Phil Niekro as a Hall of Famer. As much as I like Jim Rice, I'm not so sure he's a Hall of Famer." What about Bert Blyleven? "No. No, no, no, no," Jackson says. "Blyleven wasn't even the dominant pitcher of his era -- it was Jack Morris." Here's the thing, though. I've heard people use some of these very same arguments against...wait for it...Reggie Jackson! That he wasn't what they perceived as a HOFer, that somebody who has the all-time MLB strikeouts record shouldn't be in the Hall, blah blah blah. So when did he turn into Tim McCarver? "Al's a very good friend," Jackson says. "But I think there are real questions about his numbers. As much as I like him, what he admitted about his usage does cloud some of his records." But what about Andy Pettitte? Just like many Yankee fans, Jackson has a huge double standard when it comes to Pettitte vs. A-Rod and PEDs. (Every single time I hear a Yankee fan say "A-Roid," I always ask them if they hate Andy Pettitte, too. 99 times out of 100, they'll say that he is somehow different because he only did it twice (not true, but I digress) or because he's a nice guy. As if you should get a pass from being held accountable if you're nice! Then you have David (Sherlock) Ortiz, who has gotten a pass for three years for his positive PED test, and he's not even nice anymore! There is only one player in that category for whom he might make an exception [of attending the Hall of Fame]. "The question is going to be a guy like Andy Pettitte, who admitted that he got involved for a while, but who is so universally respected in the game. I think he'll get in, but there will be a lot of [members] who won't go." Would Reggie? Jackson takes a deep breath. "He's an awfully good friend," he says. "I've known Andy since he was 20. I'll leave it there." I didn't realize that there was a clause that even if you are against PED use, you decide it's is okay if you like the guy. And you can't rail about Phil Niekro and Don Sutton (who both won 300+ games, the gold standard of HOF pitchers) making the HOF, and then suggest that Andy Pettitte is deserving. As much as I like Pettitte, he is a borderline Hall candidate, and that's not even dealing with the PED use. If you look at the black ink numbers of the HOFers criticized, then compared them to Pettitte, they are all more deserving of the Hall than he is. That's where Reggie's argument completely falls apart. If you are against PEDs, then you can't say, "Well, keep out the guy with three MVPs and 600+ home runs, but put in the extremely borderline candidate because I like the guy." That's just silly. If there was any retired player, though, that could have broken the mold of criticizing today's players, I thought it would be Jackson. Too bad he, too has come down with Good Old Days Disease!